In 1898 the residents of the City of Dover first voted to build their own Light Plant. This was brought about when the Tuscarawas County Electric Light & Power Company, provider of the street lights, wanted an increase in the street light charges, which was presently $54.00 per year. The citizens of Dover were incensed and voted for $15,000.00 of bonds to build their own light plant. Nine years of legal maneuvering by the Tuscarawas County Electric Light & Power Company followed the voters’ wishes for their own light plant. Finally in 1907 the city was able to re-submit the bond issue, but needed to raise it to $35,000.00. Voters approved it by a 1061 to 101 vote in November 1907. Once again the Tuscarawas County Electric Light & Power Company fought it in the courts. The city had problems selling the bonds because of this and it wasn’t until September 1908 that buyers could be found. Months of litigation followed before construction could be completed. Because of this, the contract with the Tuscarawas County Electric Light & Power Company expired on December 1, 1909 and off went the street lights. Dover citizens got out old oil burning lanterns for night travel through the holiday season on the darkened streets, which were still devoid of motor vehicle travel. 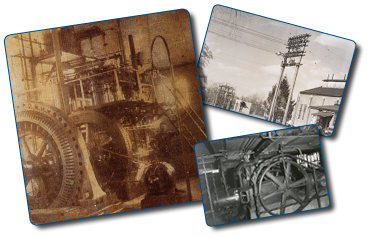 By the time the first unit of the new City Plant went into operation on February 15, 1910, the town was so infuriated that city council issued another $15,000.00 bond to get into the residential and commercial lighting field. 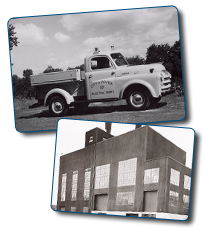 During the following years the City Light Plant was expanded several times and the City of Dover Electric Light & Power expanded their lines throughout the city and into the surrounding countryside. In 1974 the City was growing so fast that the light plant couldn’t supply the needs of the city. At that time the city interconnected with the outside world, through the city's first transmission lines. This allowed for more reliability and growth in the system. Since that time the city has strived to keep our system up to date and plan for future growth. We now have about 3.5 miles of transmission lines and about 92 miles of distribution lines. Tying in with the outside power grid allowed the city to become a member of AMP. AMP, or American Municipal Power, is a non-profit organization that was formed in 1971 and assists its members (municipalities) in providing generation, transmission, and distribution of electric power. AMP assists its members in the purchase and delivery of wholesale power and other organizational services. Being a member of AMP allows the City to be involved in green power as a part owner of several wind turbine generators and hydro-dam electric projects throughout Ohio and several surrounding states. Currently there are 126 member communities belonging to AMP; 81 in Ohio, 28 in Pennsylvania, 7 in Michigan, 5 in Virginia, 2 in West Virginia and 3 in Kentucky. Presently the City of Dover has 6,800 customers. During the year we help with many activities for our citizens. Some of these include festivals, car shows, and parades. Culminating the end of the year is the ceremony to light the downtown Christmas decorations followed by the night time parade. And, yes we still have street lights! We provide 2,387 street lights and 637 security lights for our citizens. The city has converted all of its street lights to high-pressure sodium and metal halide, which is the most energy efficient to date.